Naimah Thomas is a Chicago based art therapist and graduate of the Masters of Arts in Art Therapy program from the School of the Art Institute of Chicago. Naimah received her Bachelors of Arts and Science from Columbia College Chicago, with a concentration in Graphic design and a minor in Africana studies. 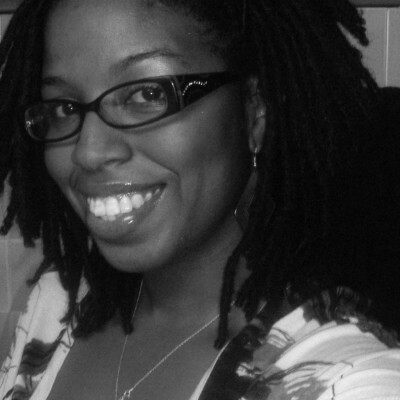 Naimah strives to practice from a person-centered relational-cultural theoretical framework. Naimah’s passion for purpose and a strong belief in giving back to her community led her to volunteer with organizations across the Chicagoland area. Ultimately she felt the need to fuse her artist and activist identities with her passion for assisting others through the use of art therapy. During her time as an intern she has worked in various clinical settings ranging from a residential facility which focuses on treating emerging adults suffering with trauma, substance use, and eating disorders: a gender-based violence organization that focuses on eliminating gender-based violence through art and youth leadership. She has also interned at a correctional facility which focuses on providing art therapy services to incarcerated individuals living with mental illness. She hopes to continue to grow her art therapist identity, contribute to under served communities, and use art therapy to provide options for self expression to clients dealing with life's obstacles. clients, facilitated by the art therapist, use art media, the creative process, and the resulting artwork to explore their feelings, reconcile emotional conflicts, foster self-awareness, manage behavior and addictions,develop social skills,improve realityorientation, reduce anxiety, and increase self-esteem. A goal in art therapy is to improve or restore a client’s functioning and his or her sense of personal well-being. Art therapy practice requires knowledge of visual art (drawing,painting, sculpture, and other art forms) and the creative process, as well as of human development, psychological, and counseling theories and techniques.